It was an evolutionary process as more location recording moved from film to video format as video offered instant replay of recordings along with better continuity between mixed location & studio scenes. 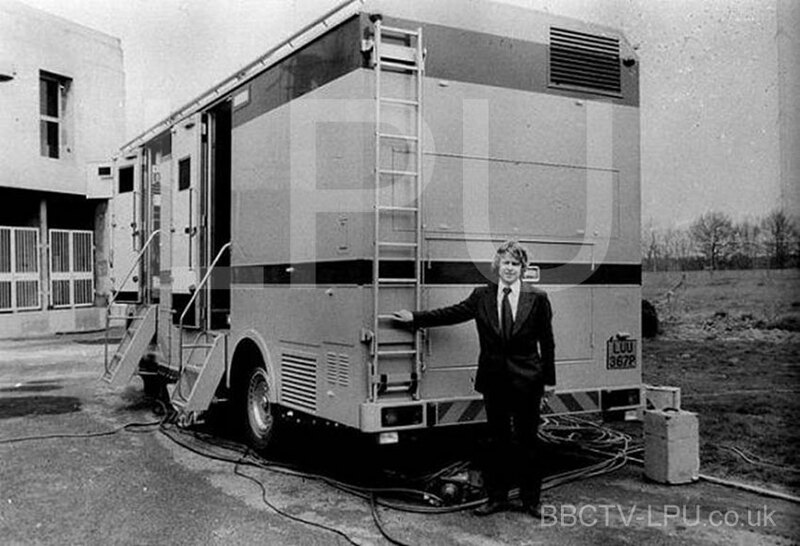 Technological developments in television were progressing: BBC OBs had identified the need for this type of mobile unit: A relatively smaller truck than the typical Outside Broadcast Colour Mobile Control Room (CMCR) unit that involved an additional separate VT recording truck and its associated crew. 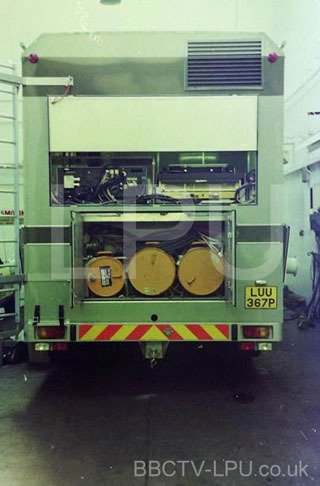 Operating in a similar fashion to a film unit, it would require a new truck designated to primarily undertake location work with cameras that were portable and generally smaller in size than those used in studios, along with the ability to record & edit material of which both could be undertaken ‘in house’. Before this new project commenced, it was proposed that an experimental prototype unit was built, so that experience of operation was obtained before embarking on large capital expenditure. Although the LPU wasn’t my project, I was involved in an earlier stage of electronic drama production. In the early seventies, I and a colleague were dispatched to Germany to look at the prototype Bosch Fernseh KCR40 cameras. 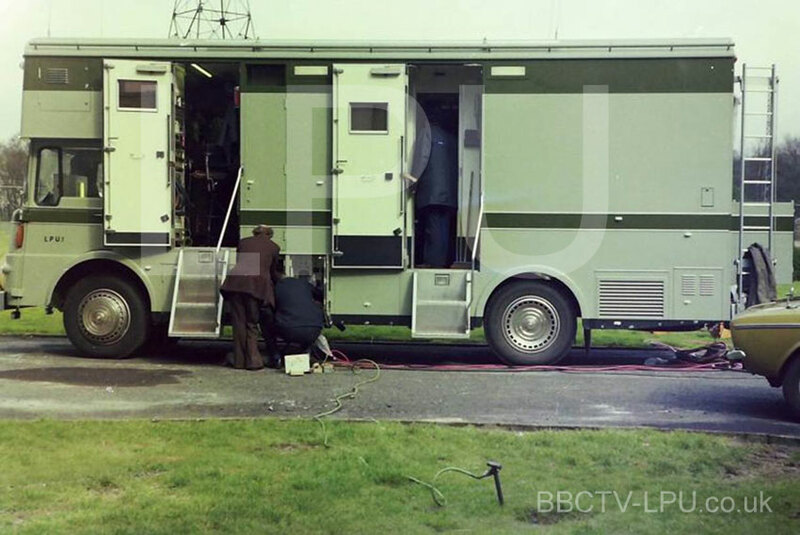 The BBC decided to buy two and we cobbled together an experimental drama unit using an old vehicle (Roving Eye 5). 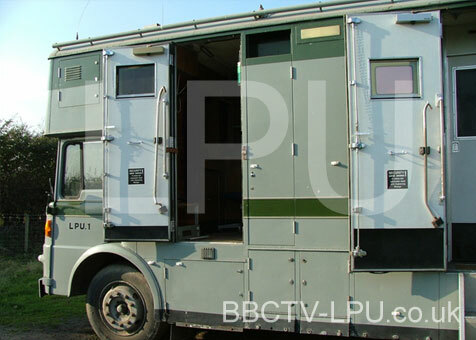 The LPU is the “proper” unit built as the result of the experiment. 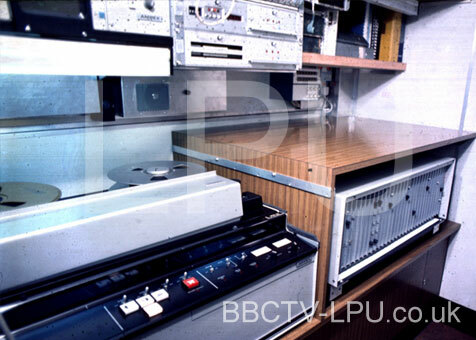 There was a similar ‘sister’ unit built at the same time, known as the LMCR (Lightweight Mobile Control Room) which was Dave’s project. 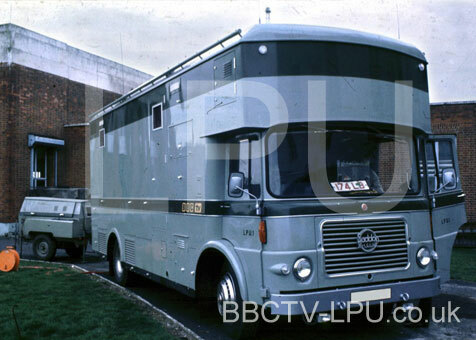 This was different in many aspects both internally and externally, although it was built on a very similar chassis. 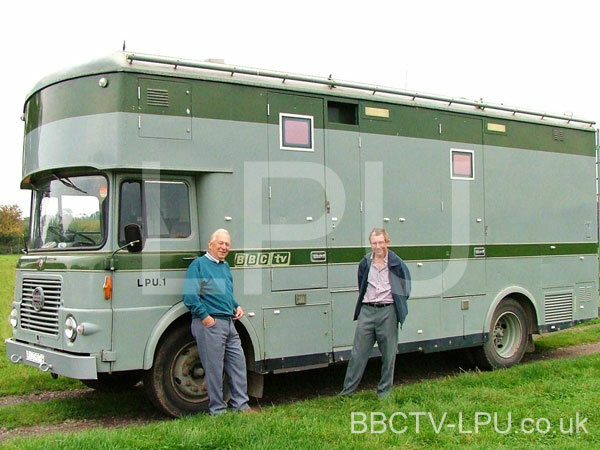 LPU 1 was the only unit of its kind built. It is fortunate that is has survived without losing its original internal fixtures and fittings. 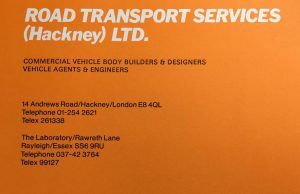 Special thanks must go to Richard Harris for ensuring that the unit was safely preserved and stored it inside a building since it was no longer required following its use for hire undertaking private recording work. I was the SCPD Project Leader for this vehicle. 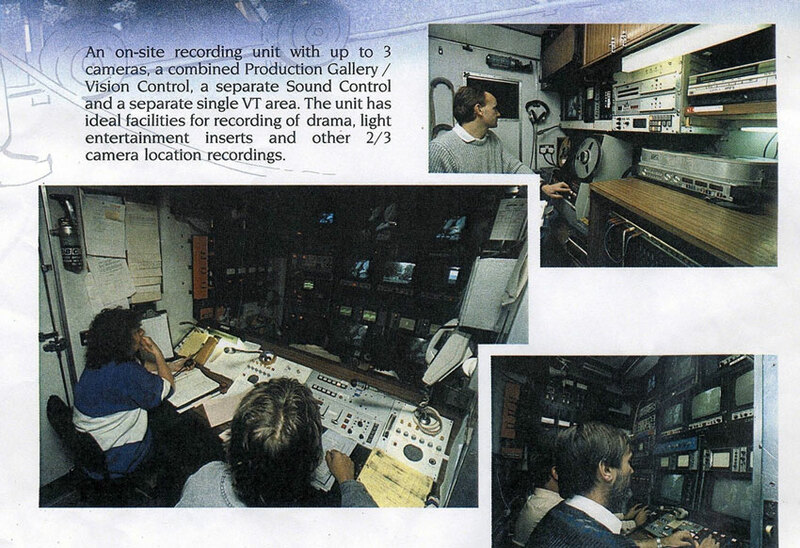 The LPU was the last major project I led in SCPD before I moved to Transmitter Dept as a Site Finder. 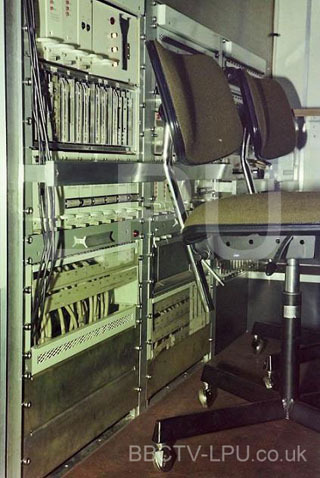 I was directly involved with the electronic installation work, particularly the vision side. I had wiremen working for me but was responsible for the overall project so had other engineers working for me on the Audio and VTR aspects. I remember that most of the installation work was done at Kendal Avenue in an un-heated building throughout a very cold winter. Miserable conditions for everyone involved. It was at a time of extreme austerity, low wages, negative housing equity, mortgage interest rates at 15%, a government imposed wage freeze. The LPU was the last major “in-house” build project. 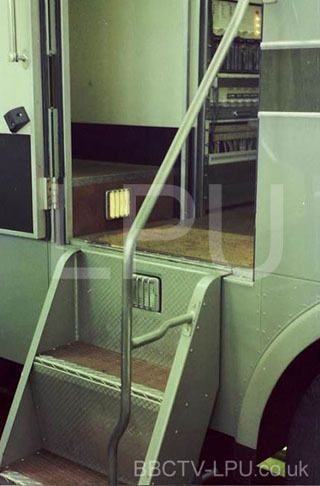 Thereafter all larger OB vehicles were built on a “turn-key” basis by outside contractors. I remember on the night before the handover from SCPD to Tel OB‘s, my then wife (a teacher) and I were up all night cleaning the inside of the vehicle. The project could not afford casual labour for that task so that’s why we had to do it. 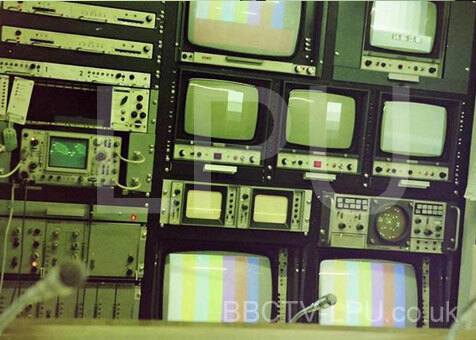 I vowed then that I would look for another job within the BBC. 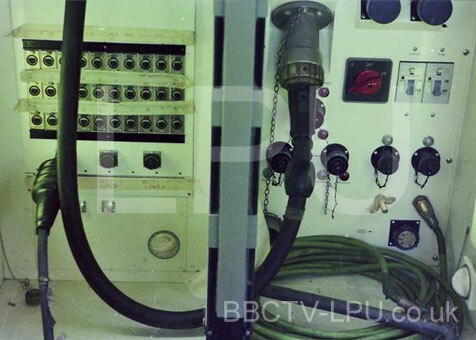 I left SCPD in the Summer of 1977 and although BBC Engineering No 106 detailing the LPU was published in April 77, I did not see it until after my transfer to Tx Dept. The article was very upsetting as it made no made no mention of SCPD, even though the whole project was planned in detail and built largely in-house by SCPD staff. It was confirmation (if I needed it) that I had made the right decision to leave SCPD. 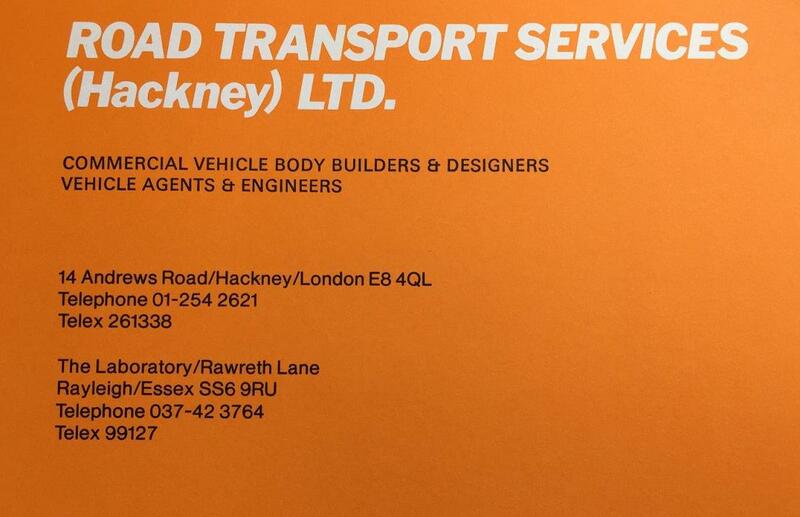 RTS were Road Transport Services and were located at Rayleigh in Essex. 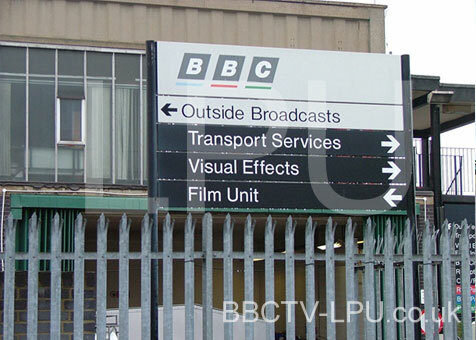 I visited there a number of times as they built most of the camera vans. 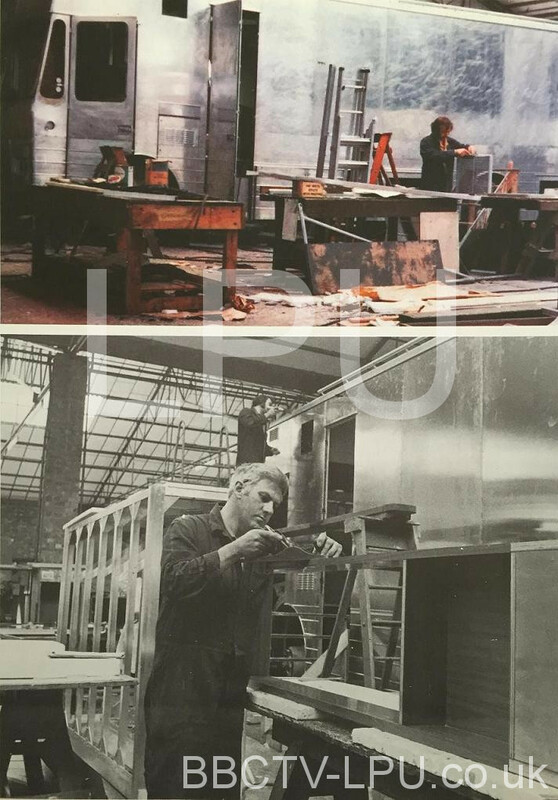 Most of the coachwork went out to tender, projects and SCPD ensured that everything came up to specification’. 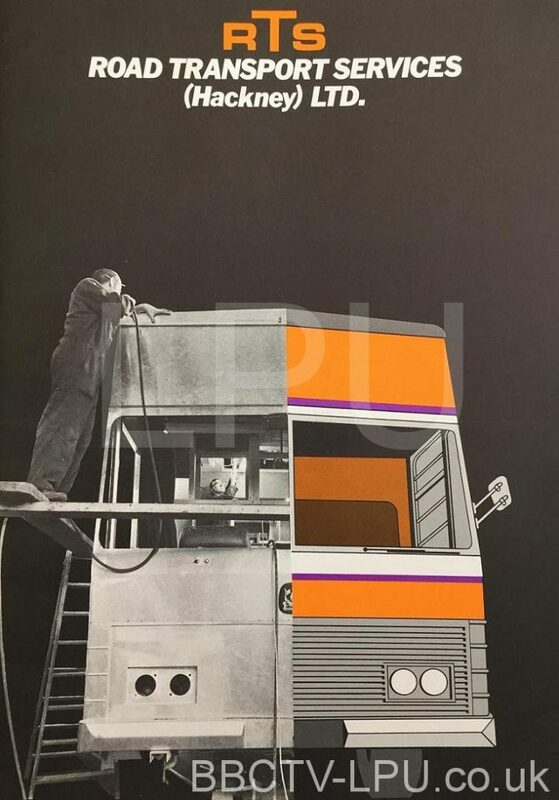 The work was also spread to various coachbuilders depending on timescale etc. The Sony 330s were a much better camera technically and so much easier to use, the first generation of new compact cameras that still look comparable to modern ones. Telephone communication was via a Storno Radiophone System 2 (an early carphone) and Storno 800 handsets were employed for talkback/communication from production to crew. 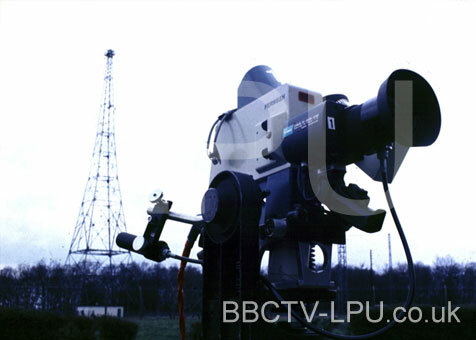 Cameramen Chris Wickham, Trevor Wimlett, Chas Snare, Frank Hudson, Alan Hayward, Mike Winser and D Gautier were all part of the BBC TV LPU’s crew on a wide range of productions over the years. 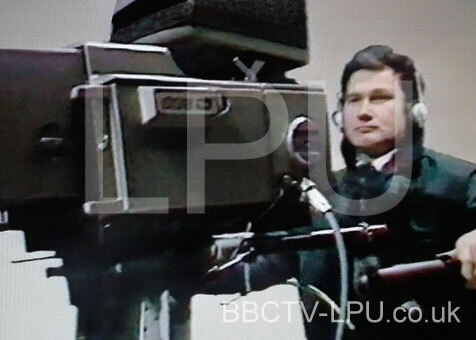 Dave Le Breton (ex BBC PID engineer) writes: – “The Fernseh cameras were not universally popular – but with hindsight, all of the one inch tube “head and backpack” cameras were under-engineered in the interests of weight (but were still too heavy) and weren’t really up to the rigours of OBs in the real world. The worst problem was the head to backpack cable – particularly when the backpack was forgotten during a tracking shot and dragged along by its cable”. The Fernseh cameras were not universally popular – but with hindsight, all of the one inch tube “head and backpack” cameras were under-engineered in the interests of weight (but were still too heavy) and weren’t really up to the rigours of OBs in the real world. The worst problem was the head to backpack cable – particularly when the backpack was forgotten during a tracking shot and dragged along by its cable. ‘Portable’ cameras in their day were significantly smaller than the traditional full sized studio cameras: This was largely achieved by removing some of the circuit boards from the camera head and relocating them to a separate back-pack unit These were the days before in-camera recording became the norm. A number of manufacturers offered similar types of early portable camera with examples such as the Link Electronics 120, the Marconi Mk 9, the IVC 7000P & the Philips LDK 15. These were superseded by the next generation of smaller portable cameras that required no back-pack unit. 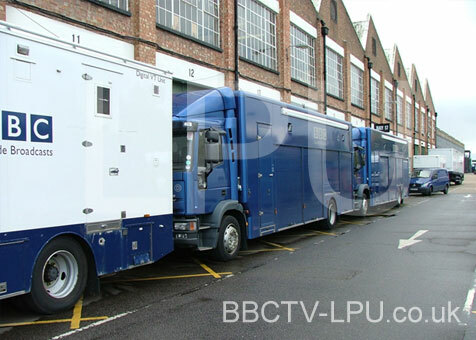 The LPU was subsequently fitted with Sony 330 cameras in the 1980s. The 330s were a much better camera technically and so much easier to use, the first generation of new compact cameras that still look comparable to modern ones. On location alongside Lee Electric’s vehicles. 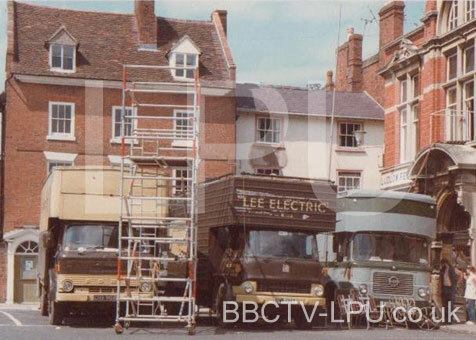 Lee Electric (Lighting) Ltd held a contract with the BBC for the supply and hiring of lighting equipments & rigs as well as generator equipment for UK television outside broadcasts. This is a small selection of the Dramas undertaken by the LPU during the years 1977 – 1990 (some memorable – most forgettable). The Mayor of Casterbridge starring Alan Bates, Anna Massey, Ann Stallybrass, Janet Maw. 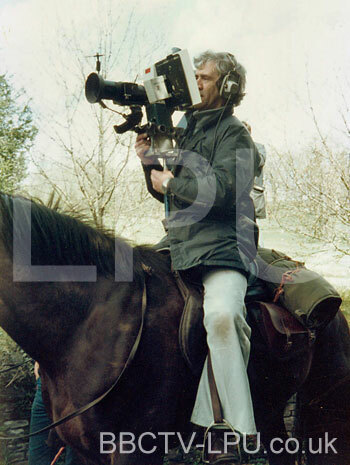 Survivors: Alan Hayward ready for action with one of the more unusual means employed for tracking shots! The Woman in White – starred Alan Badel, Ian Richardson, Diana Quick, Jenny Seagrove. Being Normal – starred David Suchet, Anna Carteret. Tomorrow’s World awards at Highgrove House – starred HRH Prince Charles! 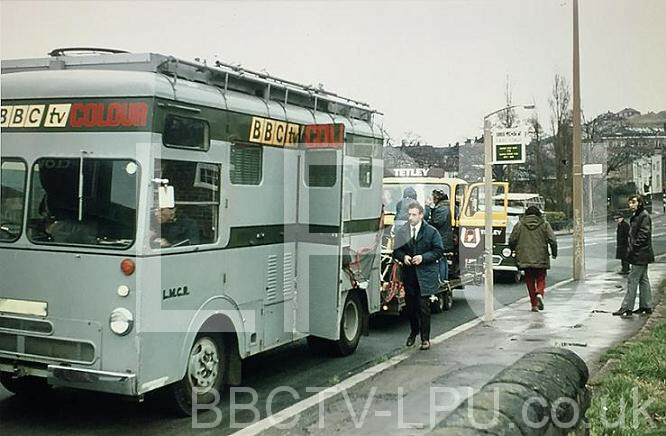 Blott on the Landscape – starred David Suchet, George Cole, Simon Cadell, Geraldine James etc. Grange Hill in four week blocks at Elstree finishing Dec.
With thanks also to Bill Baldock, John Nottage, John Morrison, Albert Barber, Howard Arnall, Dan Cranefield & Tony Blandford.